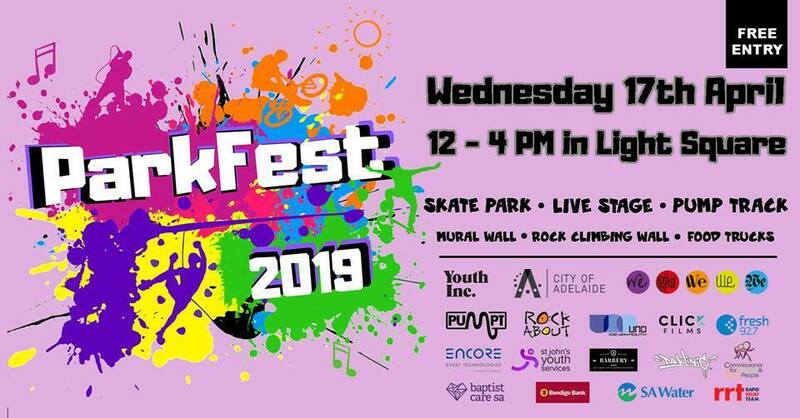 ParkFest is a FREE festival where all young people between 12 and 25 years of age who study, work, play and/or live in the City of Adelaide. Keen to grab a feed while at ParkFest? Food vendors will be across Light Square where you can buy your lunch. You'll also have the chance to meet with the team who are working on delivering the City Skate Park Strategy. If you're a young person, organisation, service provider, business and/or vendor interested in being involved in Parkfest, then get in touch about sponsoring the event, partnering with us to run an activity, offering volunteers, or better still, recommending a young person to perform or help on the day. 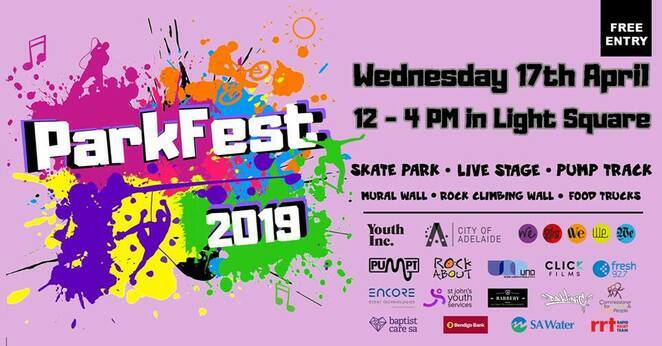 Parkfest is in Light Square on Wednesday 17th April from 12pm - 4pm. Why? Celebrate being young in the city!